‘I’m a very fortunate fellow and have had a very exciting and illustrious career and I loved every bit of it,’ the late C.V. Jim Woolridge said in an interview a few years ago. 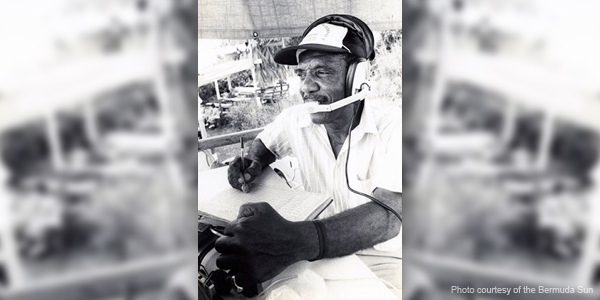 The former Cabinet Minister and Member of Parliament, a legendary cricket commentator who was well known as the ‘Voice of Summer,’ passed away at the age of 92. 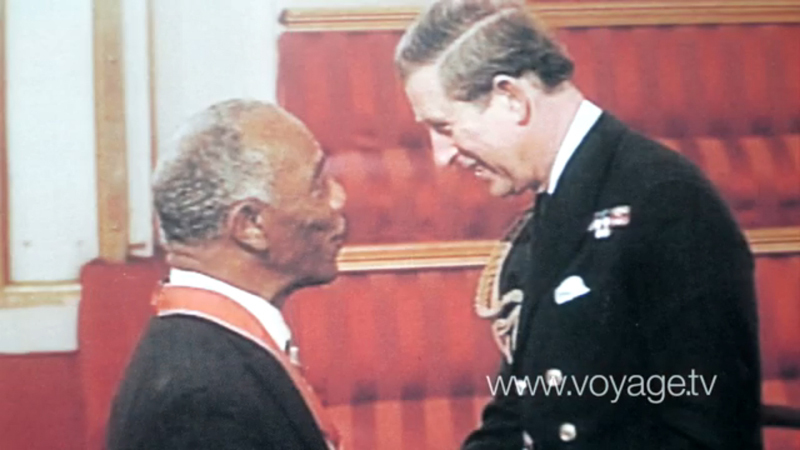 In a Voyage TV interview posted in 2010, Mr Woolridge said, “I’m a very fortunate fellow actually. I came from humble beginnings. “But I did a number of other things, I was a bulldozer operator, I drove a truck, I was a waiter, I was a bartender, and of course in 1968, I became a Member of Parliament. “I was a Member of Parliament for 33 years and during that period I was the Minister for Tourism for 14 years, Minister for Labour and Immigration, seven years, Minister for Works and Engineering, three years and the Deputy Premier for four years. So I had a very exciting and illustrious career. Loved every bit of it. “I’ve said many times that anyone that didn’t grow up with the benefit of a big family missed the joy of living. And, you know, my father was an unbelievable man. He used to tell, we guys, we wanted to get out and play cricket in the evening, if you’re not here by 6:30, you won’t eat. “He didn’t mean it, but what he did insist that we all sit down at the table because that’s where he his forum. It wasn’t uncommon, 9:30, 10:00 at night we’re still sitting there, meanwhile, if some music came on the radio he was the first up to dance with one of my sisters. He was a marvelous man. “Tourism was our main source of revenue,” he explained. “1980 was my best year ever, for the island, there was 650,000 visitors. “What did that give to us? It gave us one of the highest standards of living in the world. One of the highest per capita incomes in the world. And when you consider that we don’t have sufficient soil to feed ourselves for three months, it says volumes. Speaking on going to London, Mr Woolridge said, “I went to Buckingham Palace five years ago where I received my CBE. I am a Commander of the Order of the British Empire, for my services to tourism and to the country in general. “And when I went to Buckingham Palace, I took my three granddaughters,” he added. “And I had the benefit of talking with my good friend Lord Martonmere, who is a great Governor and a wonderful man and he was a keen sportsman. I said, Lord Martonmere, you on the advice of the Premier appointed me to my high office and I wouldn’t want to do anything to detract from it, but I’ve been told that I should be not be continuing with my cricket commentaries. 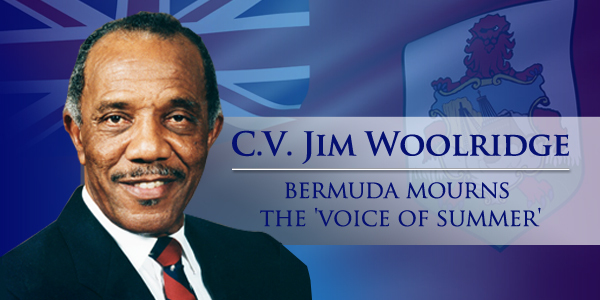 The Cabinet Office has advised that a Book of Condolence for public signing will be available at the Cabinet Office on Front Street between the hours of 10am and 4pm, from Thursday, 30th August, until the day before Mr. Woolridge’s funeral.